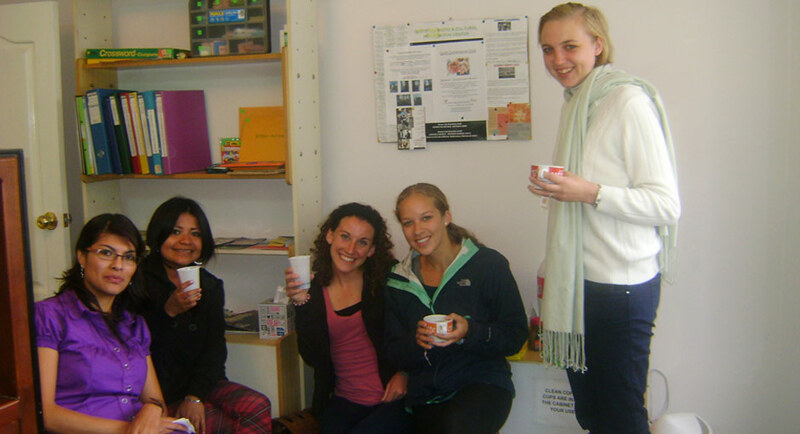 I have a wonderful teacher who tailors her Spanish program to fit your individual needs. Whether it be a one day survival crash course or a two year long term program, the school program will get you speaking Spanish quickly and correctly. I have been very pleased with my classes and feel that my Spanish has come a long way through mi teacher experience and dedication. I have studied in 3 schools in Latin America and I feel that I improved the most in Terracentro. The atmosphere was also very relaxed and fun with frequen group chats on the terrace and cultural activities to different parts of Quito. I liked studying Spanish at Terracentro. I studied Spanish for 3 weeks . Every day my teacher prepared new activities, games and interesting topics for conversation. I also learned a lot about the Ecuadorian culture and way of life! My friend and I found Terracentro with the intention of taking conversational classes. I was very impressed with the staff , how flexible and accomodationg they were. I learned a lot and was very impressed with the quality. I have already recommended this School to others. We found the course really usefull and Sofias teaching is excellent! The location of the School is perfect and the price is reasonable. Thank you. The director of Terracentro was my tutor for over two years. She is adamant about hiring the best instructors who are college graduates in various fields, with certification to teach Spanish; the reason is that she wants instructors who were conversant in a variety of topics who could also teach the grammar correctly (I think she gives prospective hires a test to check their knowledge).. A year after the school opened, they moved to a bigger facility to accomodate all the students better; this location has a really nice terrace. It is located in a residential area just outside the Mariscal district, behind the Baca Ortiz children’s hospital. There is an EcoVia stop right there, making it easy to get to/from there. My petite Asian-American friend was a student there, too, without any problem. They can arrange homestays for you, which I highly recommend doing so you get plenty of practice (and have a “mama” to turn to). I came to Terracentro with a basic knowledge of Spanish. After 5 weeks here I can say that my Spanish has improved to an intermediate level with the help of my excellent teacher Zaira who was very experienced and presented information to me in a way that I coud understand. I really enjoyed my time here, a professional School! I would like to come for possibly 6 weeks this summer and plan a combination intensive spanish and volunteering with a week long trip? Could you help me plan this?